Fashion Unplug: Live In Style. Alright, I've almost thought of the whole concept of my future home, although that's not going to happen anytime soon. It doesn't have to be big, a small studio apartment for myself would do. 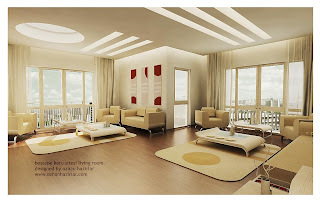 As much as I like the antique look of things, I'd really prefer a modern retro vintage home. It has to have an entertainment room, and I'd love a open kitchen concept. 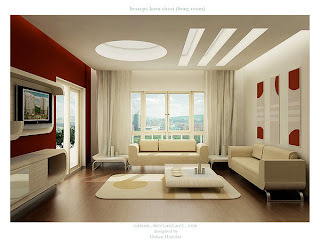 But, enough of me explaining, I found this living room concept on deviantart, and I absolutely love it. My friend recommended me this online website specializing in wall decor. 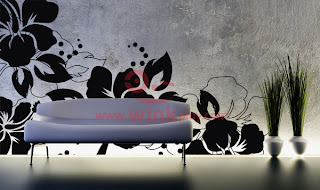 Instead of buying wallpaper, you can now get different designs to stick onto your wall and spice up that room of yours. There are heaps of themes to choose from, I'm thinking of getting some for my room. What do you think? They are wall decals that stick on surfaces you want and can be easily removed. View them at WinkPlay. What do you think of the designs? Will you buy them if you are going to do up a room? Or would you give this a pass. This place looks awesome - i wish i can have a play like that one day. i LOVE wall decos so much ! urban outfitters also has nice ones! I'm kind of into home decor and interior decorative stuff. Love them so much.